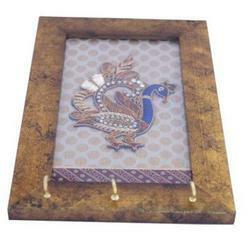 This Key Holders are made of Mango Wood with White finish which has made it extremely unique and presentable. 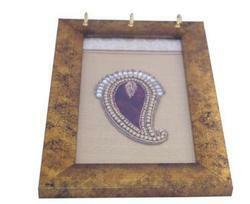 This can also used for gifting purpose during Diwali and other festive occasions. This can be customized in any size. Consistent innovation, coupled with an alert understanding of customer's needs & demands, makes us the most renowned manufacturer and supplier of Key Holder. 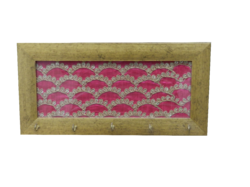 Our offered key holder is manufactured using quality proven raw material and sophisticated technology. The offered key holder is checked against different quality measures so as to maintain its quality. Keeping in mind various needs of our clients, we provide this holder in different customized options. 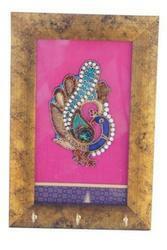 key holder is gracefully designed with immense creativity with the infusion of artistic craftsmanship of our experts. As well, this key holder is checked on numerous parameters so as to deliver a defect free range. Our customers can avail these key holders from us at market leading rates. Our organization is placed as the noteworthy manufacturer and supplier of a comprehensive assortment of Wooden Key Holders. Under the guidance of the experienced artists, this key holder is crafted perfectly by using the laser engraving technique. 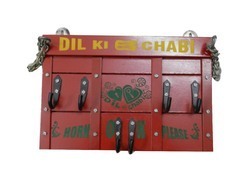 As well, our key holders are used for decoration in homes, hotels, offices & other palaces. Our valuable customers can avail these key holders from us at reasonable price in a given time frame.